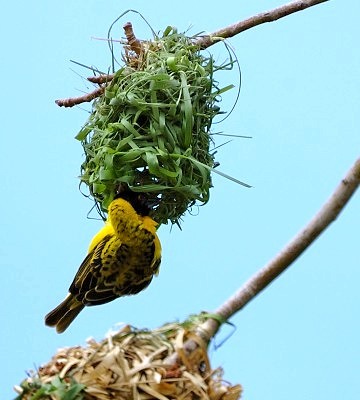 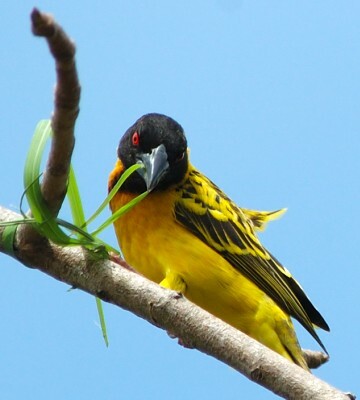 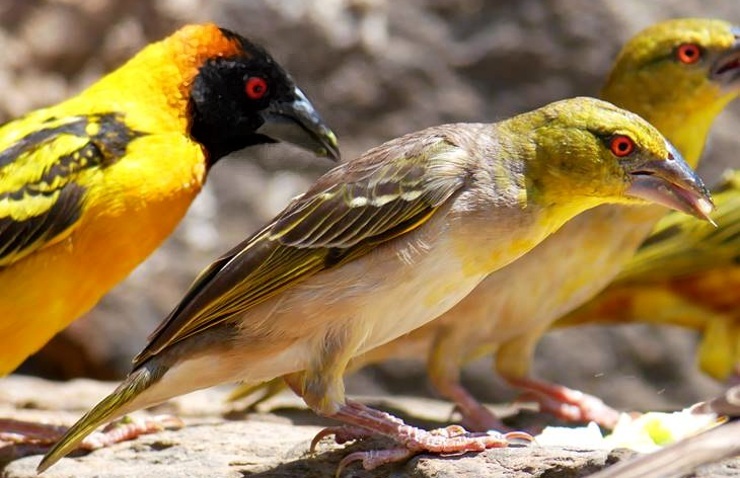 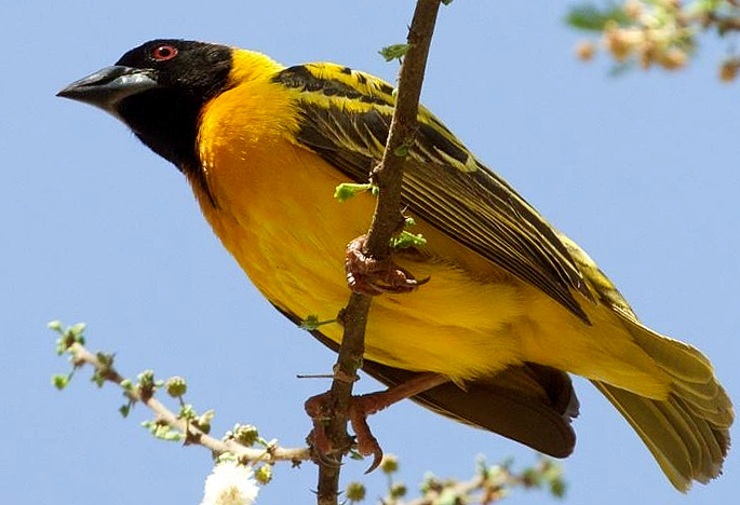 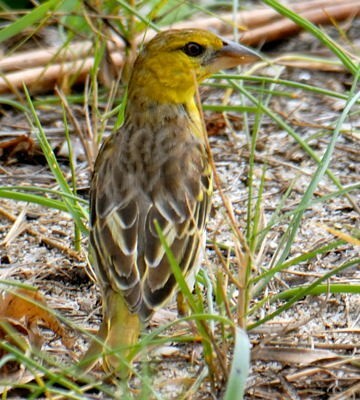 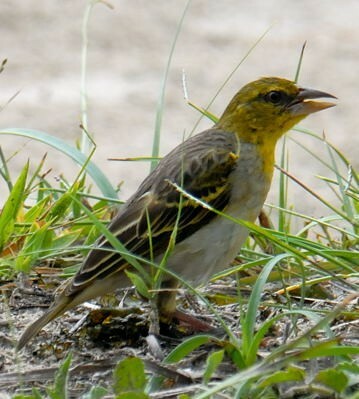 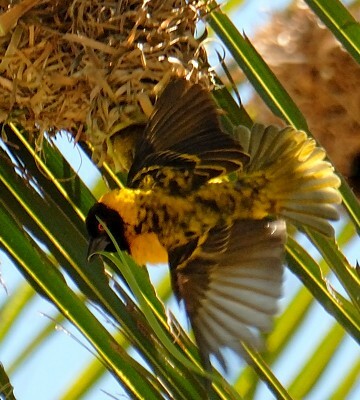 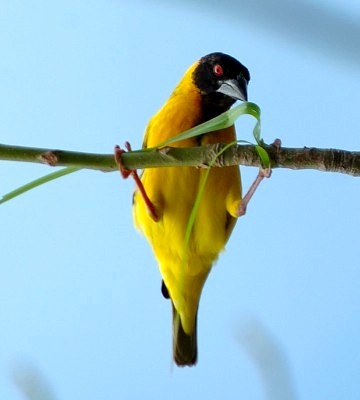 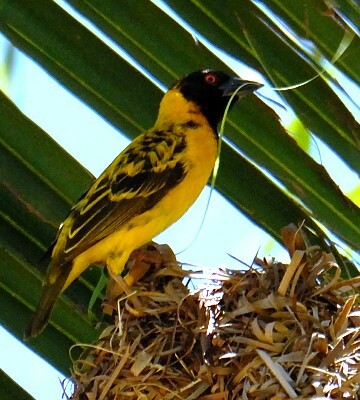 The village weaver, also called the black-headed and spotted--backed weaver, is seen throughout Tanzania in many habitats. 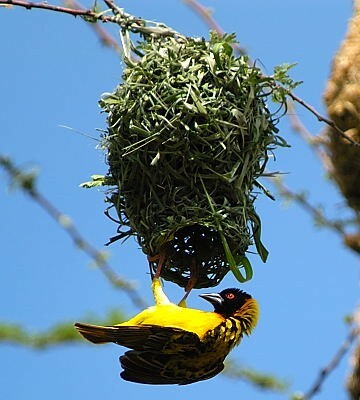 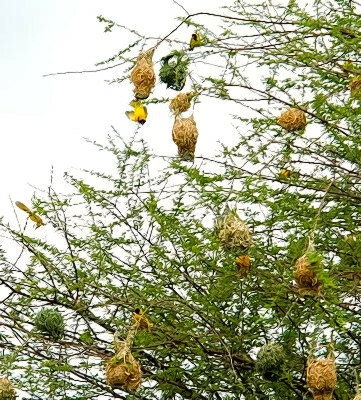 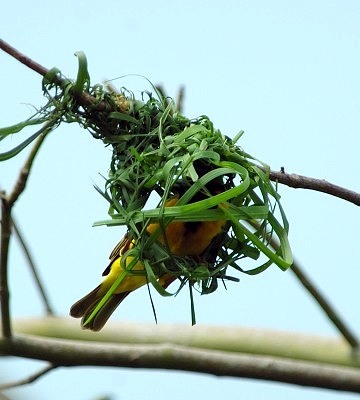 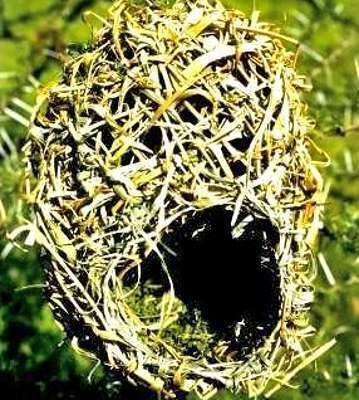 The nest was photographed in Ndutu (1-01); note the lining of acacia leaves. 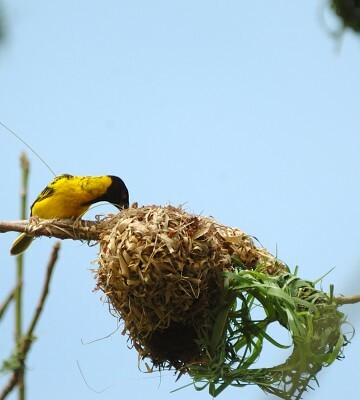 The 2nd row photo (Tarangire, 2-17) is courtesy of Paul Oliver. 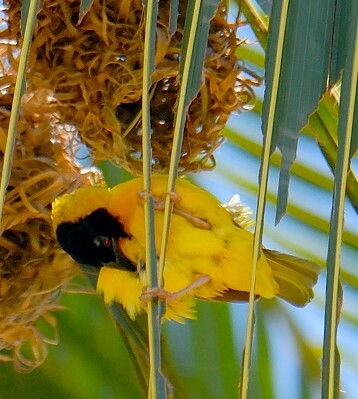 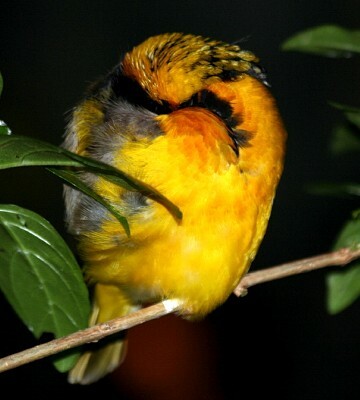 The sleeping bird was seen at the Manyara Serena Hotel, courtesy of Anabel Harries. 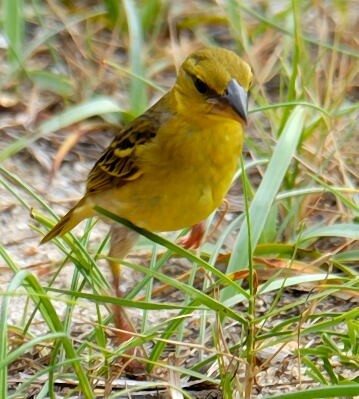 The 10th row photo (Dar es Salaam, 10-15) is courtesy of Michael Oates. 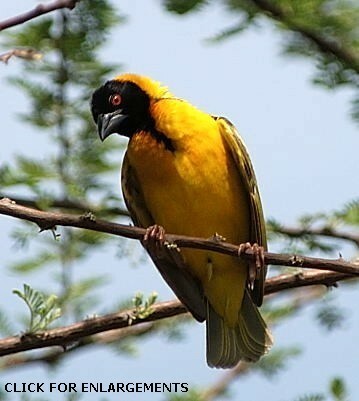 The 12th row pgoto (Lake Bogoria-Kenya, 3-17) is courtesy of Stef Schliek. 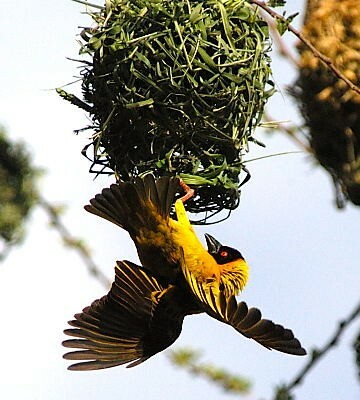 The other photos were taken at Pembe Abwe, Emayani and Tarangire. 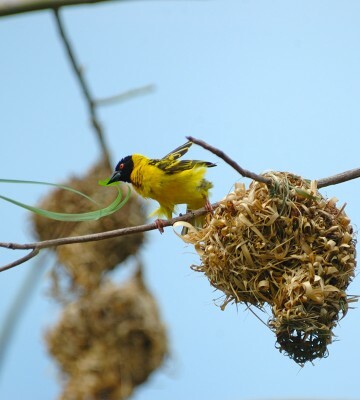 Click the photo above to see 25 enlargements.